Installation view: Melanie Gilligan, Parts-whole , 2017 (Galerie Max Mayer, 2017). 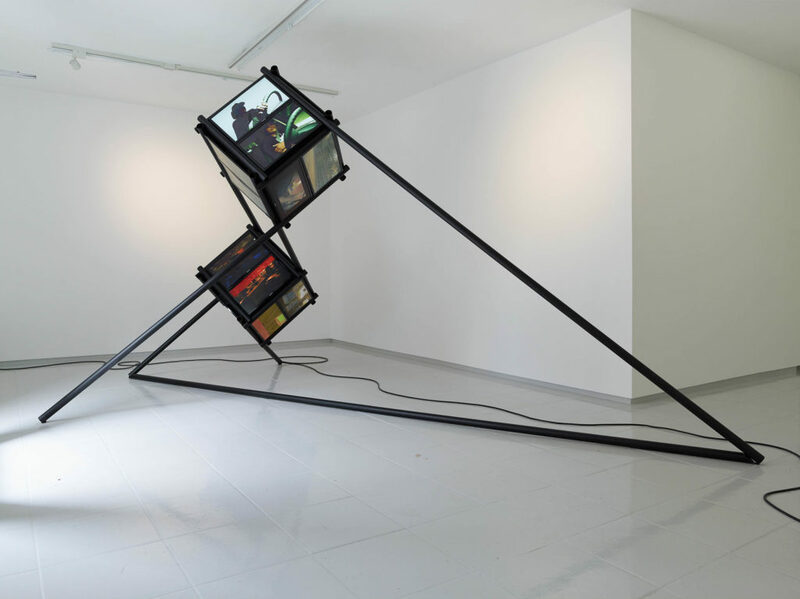 Installation view: Melanie Gilligan, The Common Sense - Incorporated! 2016 (Les Ateliers de Rennes, 2016). Courtesy the artist and Galerie Max Mayer. Photo: Simon Vogel. Melanie Gilligan (b. 1979, Toronto, Canada) works in a variety of media including video, performance, installation and music. She completed a BA (Hons) in Fine Art at Central Saint Martins in London, and was a Fellow at the Whitney Independent Study Program from 2004-2005. Gilligan regularly contributes to publications including Artforum, Texte zur Kunst, Mute and Grey Room, and sees critical writing as an essential part of her artistic practice. For her large-scale video works, the artist filmmaker develops her academic investigation of sociopolitical issues, especially of systemic relationships between labor, economy and politics, as well as the individual’s role within this network of relationships. 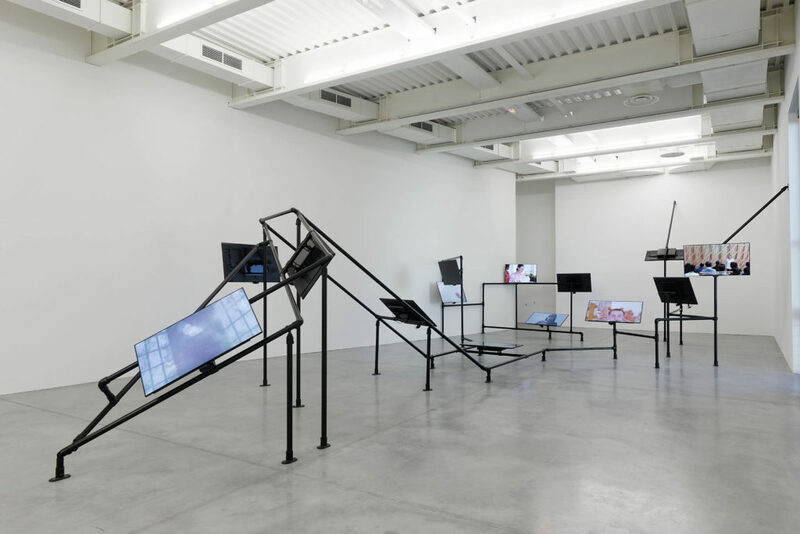 Mostly produced as serialized dramas using fictional future worlds, her works explore the shifting experience of everyday life in today’s economies by analyzing logical structures of contemporary capitalism. Selected solo exhibitions include those at Trondheim kunstmuseum, Trondheim; KM– Künstlerhaus, Graz (both 2016); de Appel, Amsterdam (2015); Casco, Utrecht (2014); Chisenhale Gallery, London; and Kölnischer Kunstverein, Cologne (both 2010). Recent group exhibitions include those at Kiasma, Helsinki (2017); Haus der Kulturen der Welt, Berlin; Julia Stoschek Collection, Berlin; The Wattis, San Francisco (all 2016); British Art Show 8, Leeds; Dojima River Biennial, Osaka; Fridericianum, Kassel (all 2015); and MoMA PS1, New York (2014). Deleuze, Gilles. “Postscript “on the Societies of Control” October, Vol. 59. (Winter, 1992), pp. 3-7.